Port Canaveral is the starting point and obligatory stop on most cruises. All the big cruise lines like Carnival, Disney, Royal Caribbean, Norwegian Cruise Line and many others can be seen docked at one of the cruise terminals. As if Canaveral wasn’t already one of the busiest America’s ports, it is growing rapidly day by day. Port Canaveral is close to Daytona Beach and other vacation resorts, as well as Disney World and Kennedy Space Center which makes it a perfect destination for anyone planning their cruise or a visit to Florida. Going from Orlando airport to Port Canaveral usually means you are in a rush to pass the customs and get your luggage and reach your cruise terminal in time. Instead of being stressed about your bags and whether or not you will find a decent transportation that will drive you to Port Canaveral safely for the next forty or so minutes, you can just book our limo service in advance and enjoy your ride to the cruise ship completely relaxed and stress-free. After all, you are on your vacation and there is no need for you to be stressed about such thing as transportation. You just sit back and relax, enjoy the complimentary bottled water and we will take care of your luggage and your transfer. Traveling for about an hour from Port Canaveral to Disney World can sometimes be too much for a grown up, let alone a small child. If the transportation you managed to find at the port is poor quality, you are in for a ride that will seem to last way more than it actually does. As if the heat itself isn’t enough, your children will become nervous and you will be tired by the time you reach the Disney World gates. With limo transportation for a very affordable price you are getting a clean, comfortable and spacious vehicle, most likely an SUV if you are an average American family, but of course, we have sedans and luxury vans, too. It is not uncommon that many people decide to end their cruise at Port Canaveral and stay for a few more days at Daytona Beach soaking up some more sun rays and enjoying the beautiful Florida landscape. Since you are already tired from your cruise, you don’t need the stress of unplanned transportation to take you to your destination. Spend your hour ride in peace and quiet enjoying the comfort of our luxury Port Canaveral limo service and we will take you all the way to your hotel or a place of accommodation. 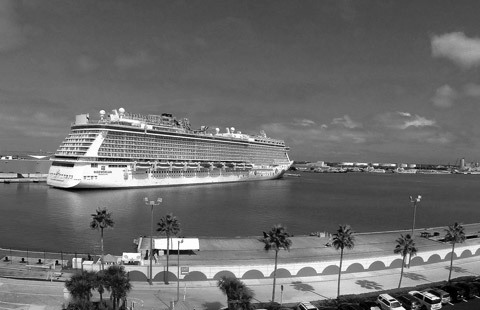 No matter where you decide to go from Port Canaveral, feel free to call us once it’s time to head back. We will help you catch your flight at Orlando International Airport or get back on your cruise ship. Make the most out of our visit to the Orlando area with our reliable limo service. We will help you spend your limited time here the best possible way by always finding the quickest routes and recommending the best places. Orlando area has so much to offer and it would be a shame to return home and miss some of its amazing attractions. Let others push and shove for the transportation available at the airport, you will have a luxurious limo already waiting for you by the time you board off your ship. Leave all the stress behind and save all your energy for the Florida adventures. We will help you reach each and every one of them in our comfortable luxurious Orlando limo service.